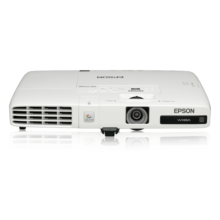 With ultra short-throw, light from the Epson EB-1400Wi and EB-1410Wi interactive projectors is less distracting as it barely touches the presenter, ensuring a more comfortable and conducive experience compared to conventional models. Shadow interference is also greatly reduced, making presentations a more pleasant experience for all participants. 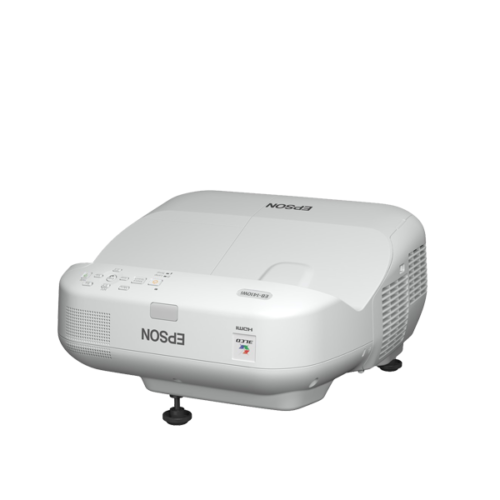 The ultra short throw interactive projectors come with many supporting functions for productive and hassle-free presentations. 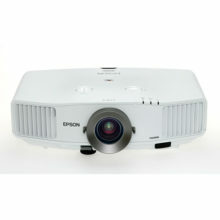 Projector set-up is simply plug and play, with a one-time Auto Calibration and Auto resolution adjustment. No other drivers are required except for Mac OS. Change the projected screen size up to a 100-inch maximum according to the needs of the room. Two persons may write on-screen at the same time by just hovering over the projections with Epson’s interactive pens. It also allows annotation from a variety of input sources for a range of practical business applications such as document revisions and adding handwritten signatures without a PC connection, enabling maximum interactivity with minimal requirements – a true Epson Original. When linked to a PC, the Microsoft Office Ink function lets you handwrite* comments and diagrams directly onto projected Powerpoint, Excel and Word documents, and also save them in their original formats for future editing. Users can take notes and emphasise points on slides during presentations and video-conferences, making group discussions more productive and insightful. *Only one interactive pen can be used at any time. When a PC is needed, the projectors can be seamlessly connected via the EasyMP Network Projection V 2.81 and above application, which wirelessly transmits images, audio, pen positioning information* and even allows for mouse operation^, saving you the hassle and cost of laying out multiple cables. ^Mouse operation speed is slower when compared to a USB connection. 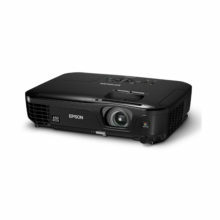 Compatible with everything from HDMI cables, DisplayPort, LAN cables to microphones, the projectors suit your different needs. These advanced connectivity features make it easier for you to have upgrades in the future. Users can conduct different types of interactive discussions from small creative discussions to conference meetings effortlessly. Project presentation materials on surfaces like whiteboards, walls and tabletops for a more productive and creative process during meetings without worrying about space constraints. With the iProjection application for both iOS and Android, wireless projection from a smart device is made possible. 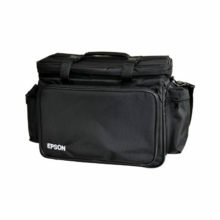 * This feature supports various files and allows you to present your smartphone contents with ease. It also lets you use other touch-screen operations, such as flicking to turn pages and pinching to zoom in or out. Simply save movie files like MPEG2/4, WMV pictures and PDF files to a USB memory device, insert into the projector or external control pad and the files are projected automatically. You can just bring the data along without the need for a PC. The ultra short throw interactive projectors come with many networking features for seamless and engaging meetings. The EasyMP Network Projection enables users to project presentation materials with audio simultaneously and conduct meetings in up to four different locations. The EasyMP Monitor allows the administrator to monitor and control all the networked Epson projectors from the remote network locations with ease. Users can select from ten practical templates to create lists and other documents. They can also create and install their own templates to suit their particular needs.